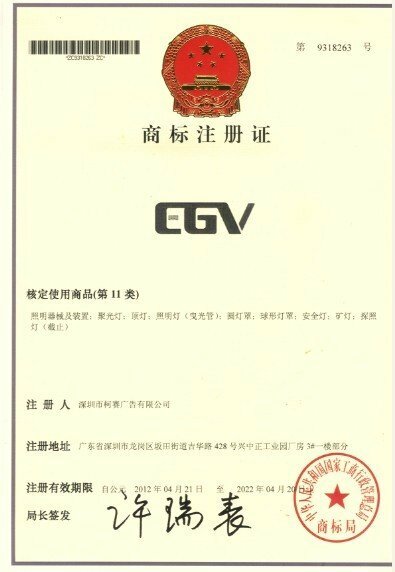 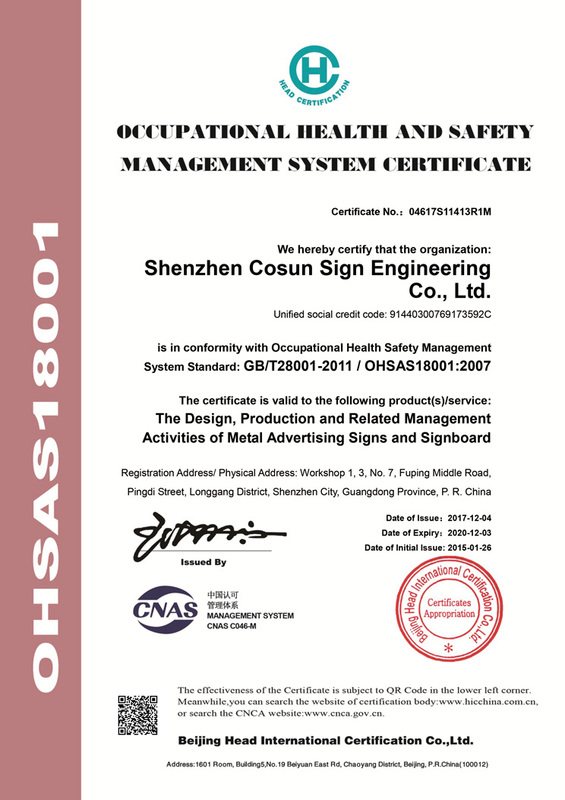 Company Overview - Shenzhen Cosun Sign Engineering Co., Ltd.
12YRSShenzhen Cosun Sign Engineering Co., Ltd.
Shenzhen Cosun Sign Engineering Co., Ltd. (Short for COSUN), as a professional manufacturer and comprehensive signs company in China, is dedicated to provide customers with high quality sign products since 2004. 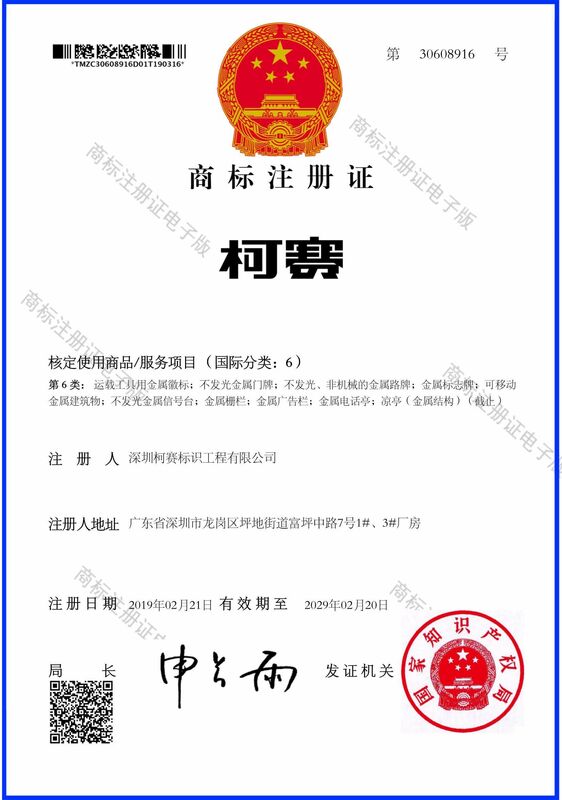 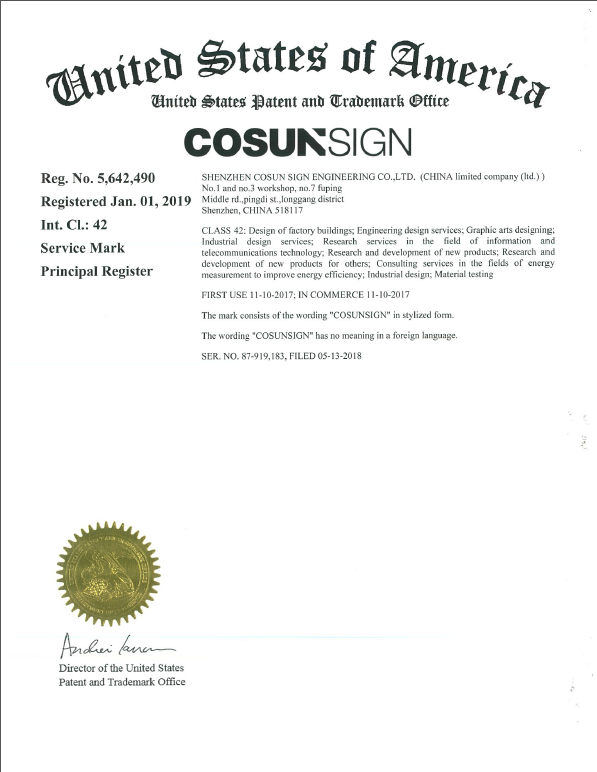 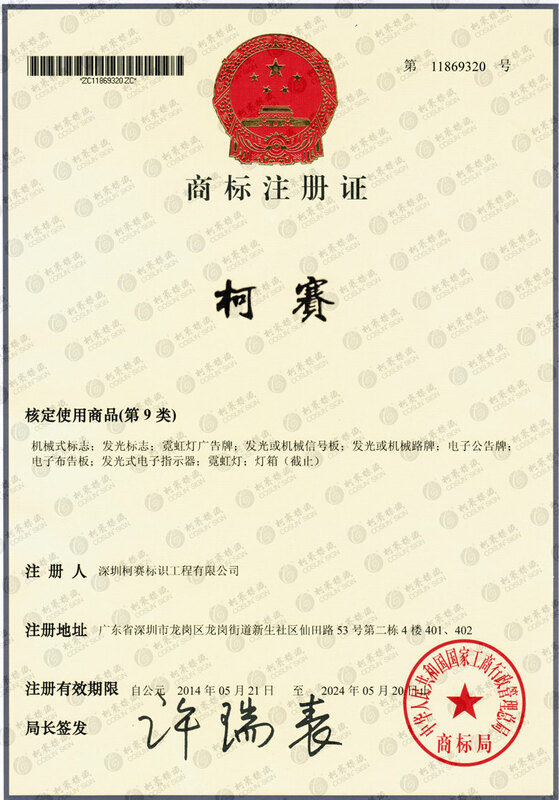 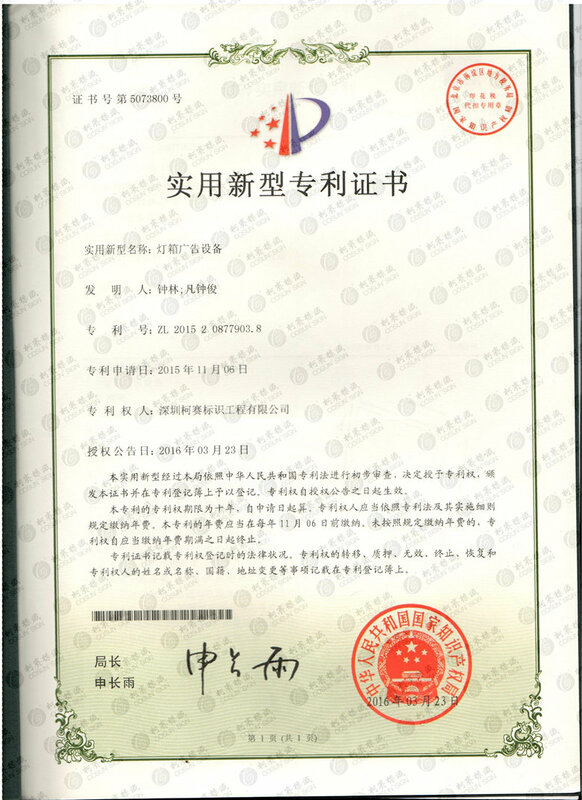 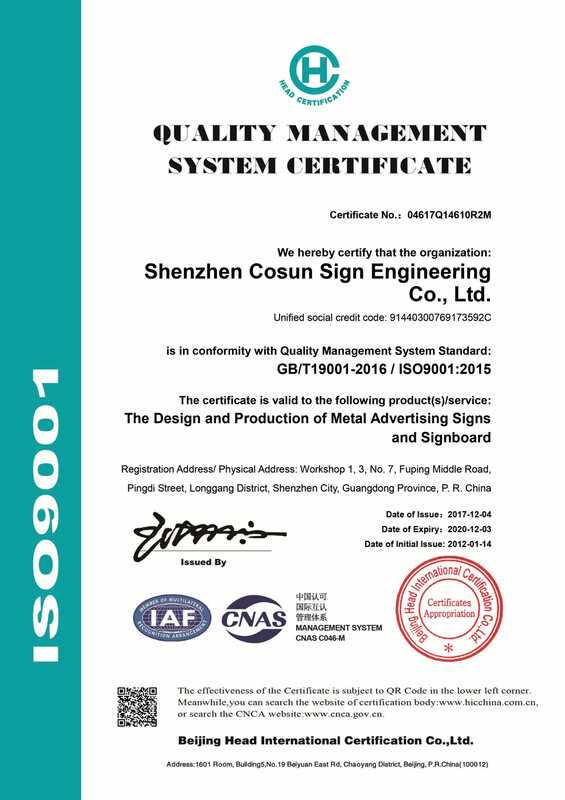 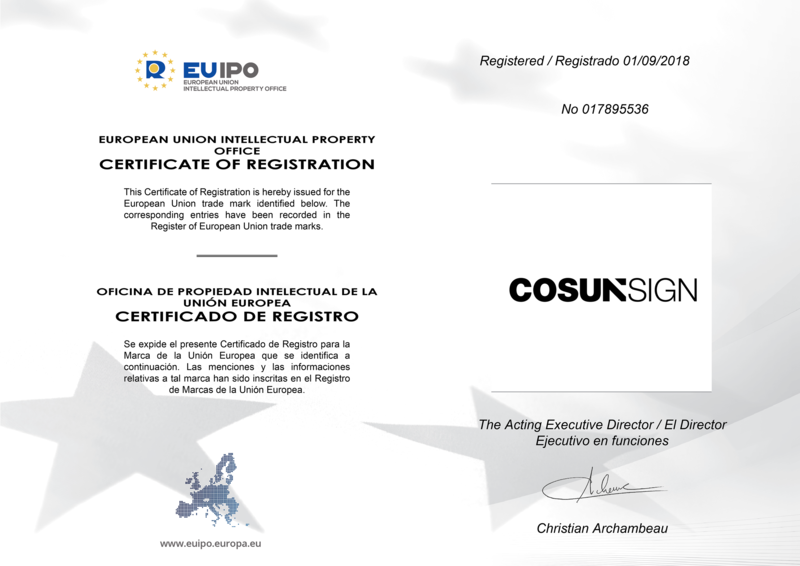 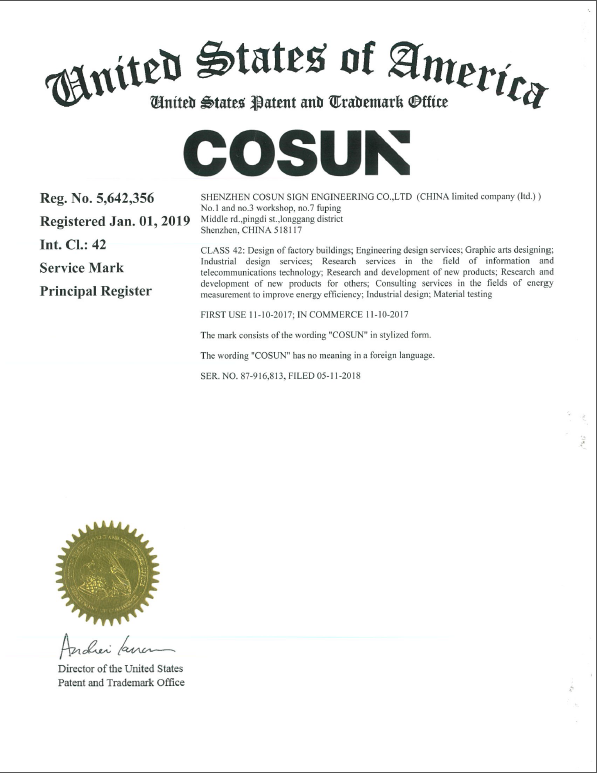 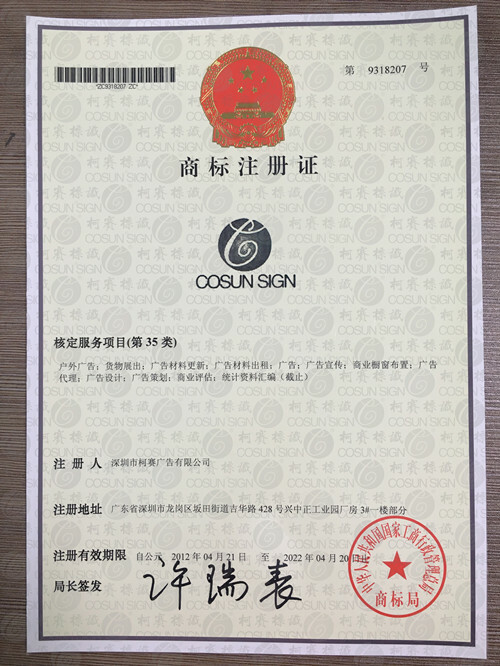 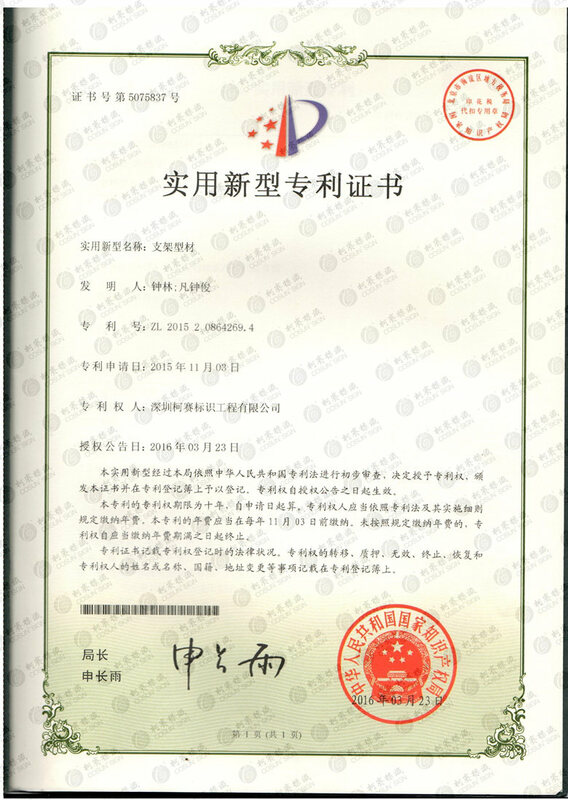 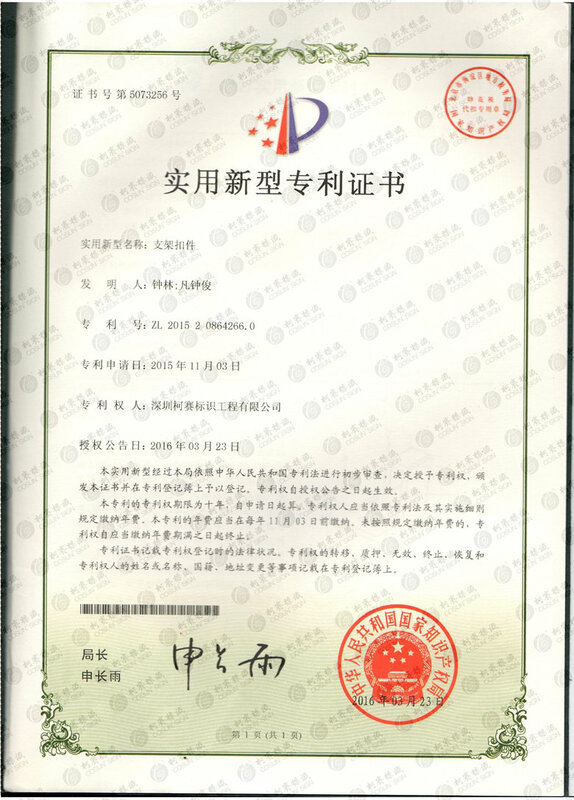 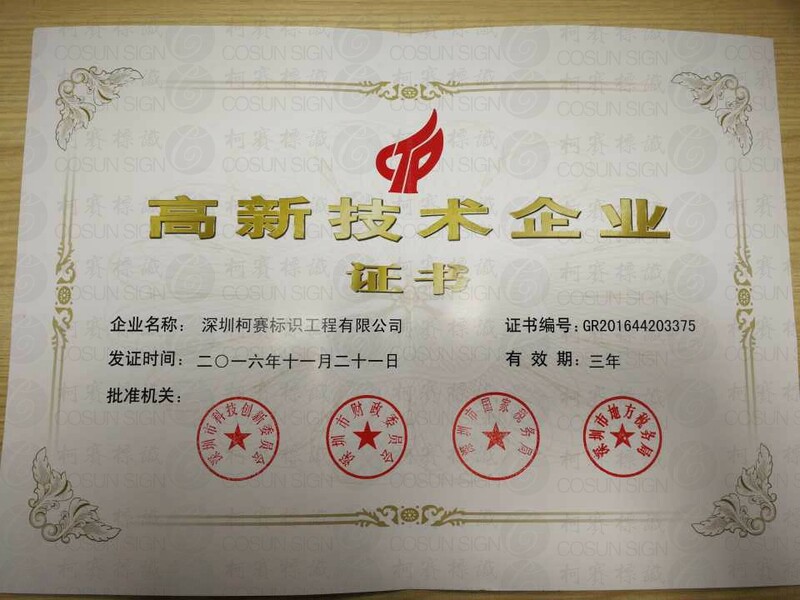 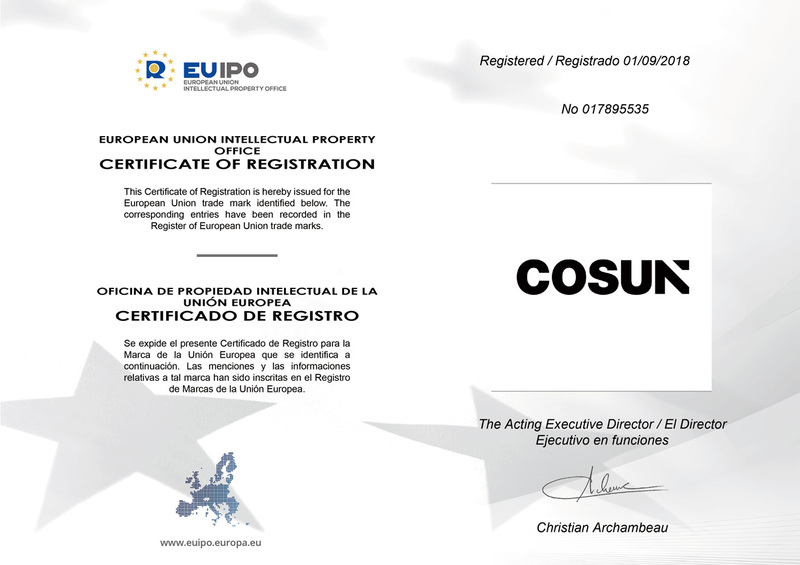 Now, COSUN has become one of the leading sign manufacturers and exporters in China.Shenzhen Cosun has been in advertising industry for more than 17 years and exporting for more than 10 years. 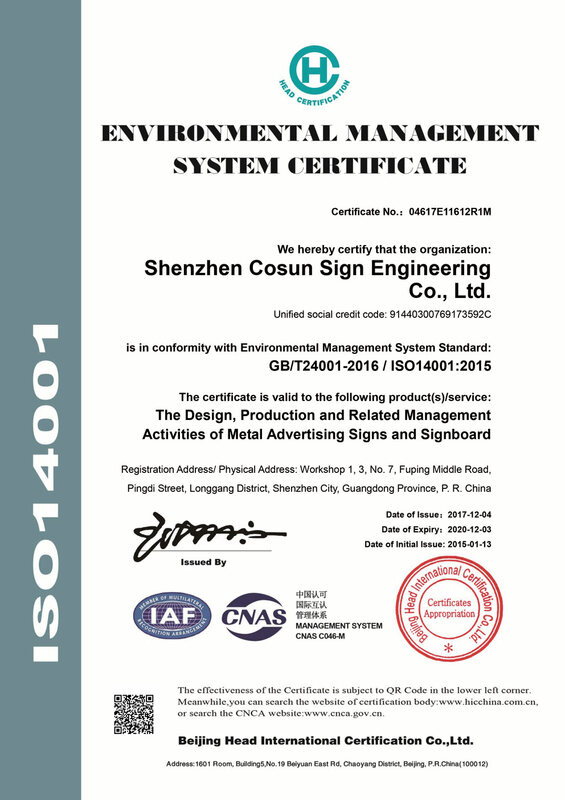 COSUN has 15,000 sqm factory located in a garden park, being equipped with a variety of advanced professional production equipment, such as metal laser cutting machines, recessing machines, vacuum foaming machines, robot welding machines, laser welding machines and polish machines.Cosun focuses on developing and making all kinds of sign products for: Complex, Hotel, Office, Building, Residential Area and Gymnasium, City Environment Projects and and Chain Shops etc.With many years of international business experience and well understanding of international quality certification system for signs, we use the electronic components with CE, UL and factory ISO certificate, etc. 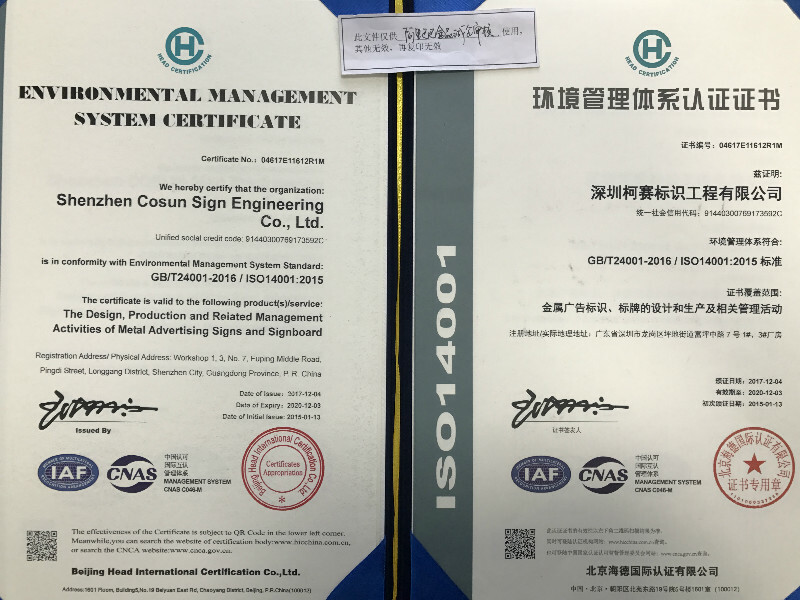 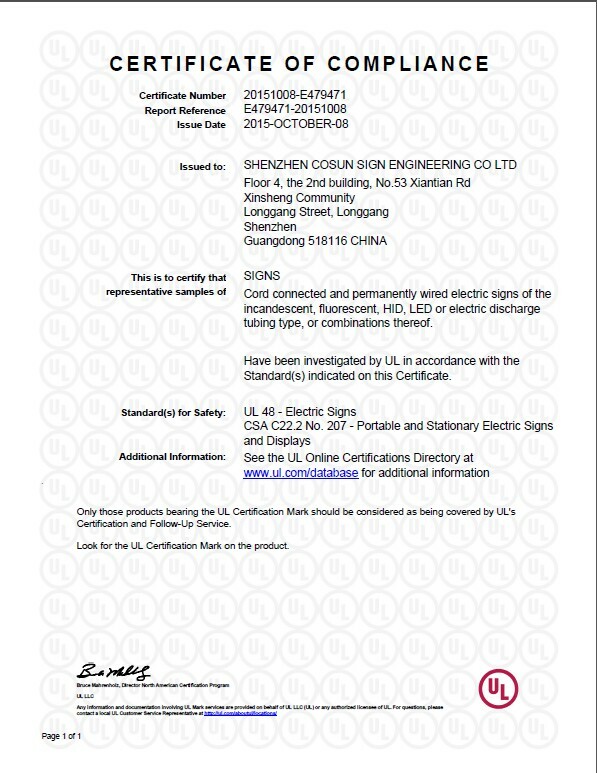 to ensure our sign products safe and reliable.By professional operation and fast develop, COSUN already has many customers from all over the world, we warmly welcome you to visit our company. 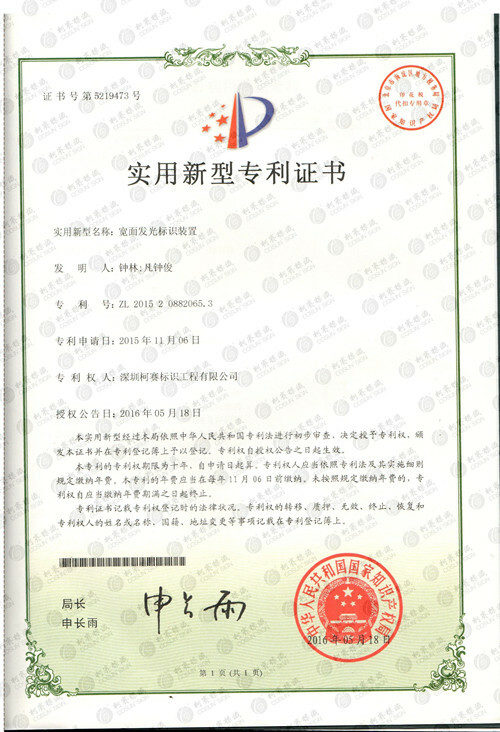 COSUN, with the honesty and sincerity, will work together with you and create beautiful future together.